You are currently browsing the tag archive for the ‘Gary Clarke choreographer’ tag. A group of eight pupils from Parklands Girls’ High School in Seacroft are developing a Find Your Talent supported dance performance which will represent Leeds at the prestigious Share Your Talent arts showcase at the Southbank Centre in London on 22nd of July. The performance is the result of a collaboration by Phoenix Dance Theatre and Space2 – an organisation which uses the arts to work with disadvantaged communities in Leeds. All the girls are taking part in a five-day dance workshop during half term working alongside ten members of the Phoenix Youth Academy, and supported by Phoenix Artistic Director Sharon Watson, a former Parklands pupil, and choreographer Gary Clarke. 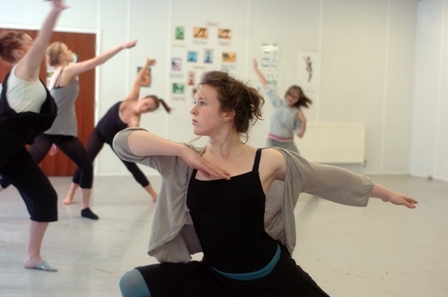 The performance will be part of Firebird, a massive dance and arts community event that is being developed to celebrate Phoenix Dance Theatre’s 30th Anniversary in 2011 and the cultural Olympiad in 2012. As part of the workshop at the school, the pupils will be supported by Leeds Metropolitan University graphic design students who have created a film to act as a backdrop to the performance. Music is being specially composed by Leeds-based singer and song writer Christella Litras. The performance will also be showcased at the Seacroft Expressions Festival in Leeds in September as part of Parklands Girls High School’s 50th Anniversary celebrations.